David Franjic is a Melbourne based Cinematographer that has worked on a varied and extensive range of projects over his 20 years in the film & TV industry. The challenging and diverse nature of his experience has provided him with a calm confidence and depth of knowledge that shines through in his Cinematography work. 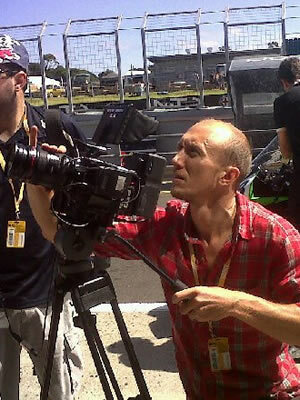 David specialises in documentary, stylised documentary, dramatisation, factual and commercial work. His strength lies in his ability to capture genuinely considered and artistic imagery within the often restricted time frames of modern day broadcast and web content production. David’s depth of experience in the film and television industry has afforded him a rich understanding of narrative and visual storytelling. This foundation in combination with strong communication skills and a sensitivity to subject allows David to create cinematic imagery that engages and entertains it’s audience while also provoking them to think and feel. David has worked both domestically and Internationally and has been well awarded for his work, including four Australian Cinematography Society (ACS) Awards. He owns and operates a RED Scarlet-W 5K Cinema camera with a high quality lens, lighting, grip and audio kit.